How to Buy your next house when you need to sell your existing house first. The Washington DC area is super pricey and many buyers need to sell their existing home prior to being able to afford the next one. 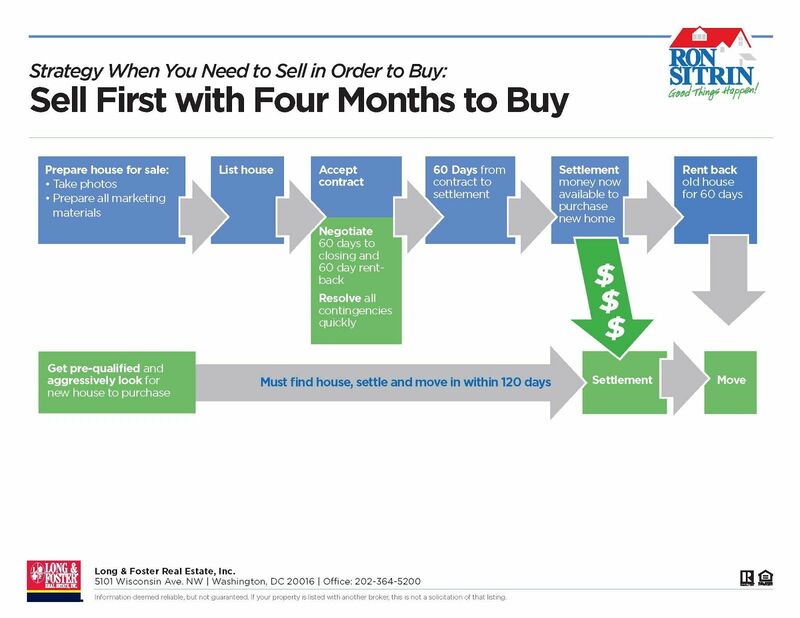 In a strong sellers’ market, I suggest those looking to move consider the “Buy First Sell Fast” strategy. I outlined this approach in my previous post. However, what if your home is located in a part of our metro area where homes take more a bit more time to sell? In the past, I have found the “Sell First with Four Months to Buy” the most effective way to go. The reason we want to sell your home first is that in a softer market its hard to judge how long it will take to sell and how much you will ultimately net. With that in mind, it best to get your existing home under contract prior to putting your new one under contract. 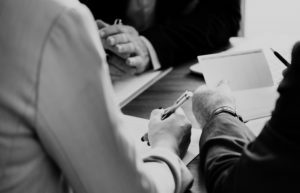 The key term that must be negotiated in your sale is a two month delayed settlement and a two month rent back. This gives you four months to find and move into your new home before you need to move out of your old one. See the flow chart below to get a sense of how this works.